One of the major garage door screen manufacturers has a saying, “It’s not just a screen, it’s a lifestyle.” We’d have to agree. While the garage may be a utilitarian storage unit for some households, it serves entirely different purposes than when it was originally designed. These days, garages are used as hobby shops and sports centrals; they’re used as man caves or in-law units, or they may be temporarily converted into a semi-studio for a young adult child who isn’t ready to flee the nest just yet. In all of these cases, screen doors can go a long way towards improving the ambiance of the space, conserving energy, improving light and air flow and so on. Roll up screen doors. These are the least expensive garage door screen and are a good DIY option for homes that will rarely use the garage screen feature – perhaps only a time or two when company is visiting for the summer. They attach to the header and jambs and then a zipper or magnet system works to open and close them. Retractable screen. Most retractable screens are installed using a housing system that attaches at the header. A remote control system raises and lowers the screen. Sliding screen doors. These systems remain fixed in place. Your garage door remote’s additional button can be programmed to open and close the sliding screen door, or you can use a separate remote control. Each one has its pluses and minuses. Working with a professional garage door installer will help you pick the best one for your lifestyle and needs. If you’ll be using the screen door on a regular basis, it’s worth paying for high-quality screen system so you can enjoy reliable operation day after day. 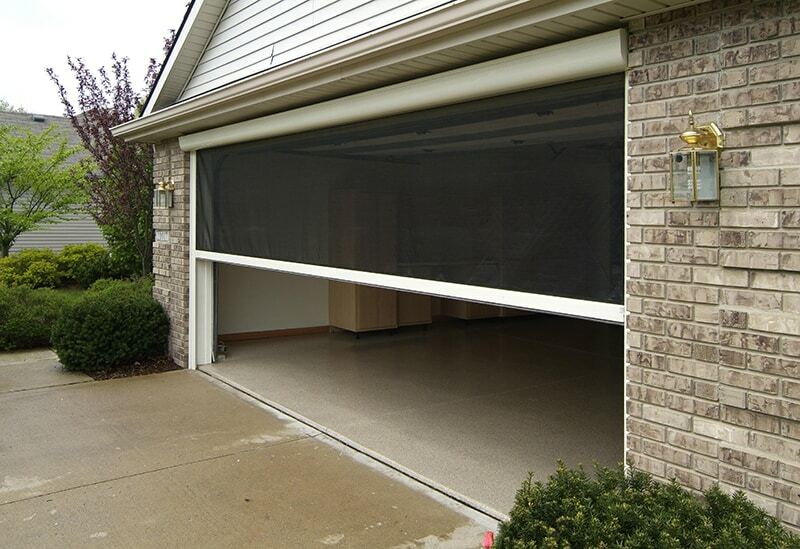 Here are five reasons we recommend installing a screen door on your garage. Expand your home’s square footage. When you convert all or a portion of your garage into a living space, you instantly gain square footage. This space will come in handy when you’re hosting a party or large gathering while hosting out-of-town guests, or for providing additional space for adolescents and teens to be ‘home’ with their friends while still retaining a bit of autonomy (while you preserve a bit of piece). Energy efficiency. By opening up the garage, and using a screen door, you eliminate the need for a portable A/C system or multiple fans. You’ll benefit from air flow and cooler evening- and night-time temperatures. This will save energy, and reduce seasonal cooling costs. Protection from flying insects. Without a full garage remodel, you can still wind up with a stuffy and cave-like atmosphere in the warmer months, and a screen-free, open garage puts you and your guests at the mercy of flying insects, critters and neighborhood pets. With a screen in place, you can enjoy your garage all day long – even with lights on after sunset – no need for a bug zapper, the pungent odor of citronella or copious insect repellant. Keep your garage clean. When a garage door is open, the slightest breeze can blow leaves, dirt, pollen, dust and debris into the space. In addition to creating a messy garage, this is all the stuff you want to keep away from your home’s interior, the garage door track and its greased mechanical parts. Improve security. If you like to leave your garage door open when you’re at home, the screen door is a perfect way to add an extra barrier between its contents and potential thieves that want to make a quick grab. They know that taking the time to open up a screen creates that much more noise, motion and attention – so the screen acts as a deterrent. Are you ready to take your indoor-outdoor lifestyle to the next life? 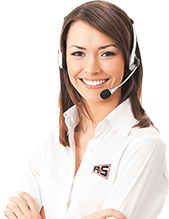 Contact the team here at R&S and we’ll be happy to provide more information about your garage screen door options. Save $140 on a Complete Garage Door Opener System Click Here!